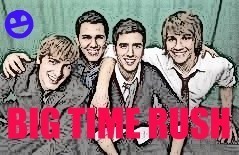 随意 btr pic. made it myself :D. Wallpaper and background images in the 派对男孩 club tagged: big time rush big time rush logan kendall carlos james. This 派对男孩 photo might contain 动漫, 漫画书, 漫画, 卡通, and 漫画卡通.